Carol has spent most of her life in Southern California and has many special memories of going to Disneyland with her family. As a child she would plan out her family's day trips to Disneyland, making an itinerary listing each attraction to visit. 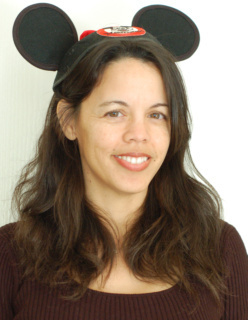 When an opportunity arose for her to work at Disneyland during college, she jumped at the chance and enjoyed two years as an official Cast Member. It was during this time that her interest in Disney history first began to develop. Since then she has filled her shelves with numerous books on Walt Disney and the Disney theme parks, and enjoys attending Disney conventions and taking tours to learn more about Walt's creative legacy. She has a Disneyland Annual Pass and is a member of Disney Vacation Club, Disney D23, and the Carolwood Pacific Historical Society. Carol's first trip to Walt Disney World was on her honeymoon and she has returned to Orlando eleven times since, staying at various properties both on and off site. She has also sailed on the Disney Magic (Eastern Caribbean), Disney Wonder (Alaska, Bahamas and Mexican Riviera) and Disney Dream (Bahamas). Recently she vacationed at the beautiful new Aulani resort in Hawaii - ask her why she thinks this resort is a compilation of some of the most magical Disney experiences anywhere! Carol has vacationed at Pop Century, Port Orleans Riverside, Caribbean Beach Resort, Beach Club Resort, Boardwalk Inn, Animal Kingdom Lodge, Saratoga Springs Resort & Spa, the Disneyland Hotel, and the Grand Californian Hotel & Spa. 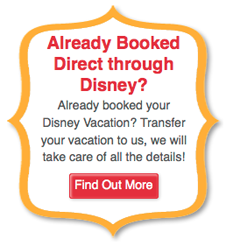 She has been helping clients plan their Disney vacations since 2007 (and unofficially even longer!). She is very budget conscious and will help you get the most value for your vacation dollar. Make sure to put CAROL in the agent request box! Carol helped plan the best honeymoon from across the miles. She's a fellow Star Wars and Disney fan and was always in contact with us - from cost saving updates, advice for New Years Eve & Star Wars-y events at the parks and giving us insight to eateries across all the lands. Cast Members knew we were celebrating our honeymoon when our Magic Bands would be scanned. We want to thank Carol for all her hard work and continuous communication over the course of 6 months as we discussed many little perks to enjoy on our Magical and Epic trip. We have already referred her to 2 other friends, and look forward to her assistance in planning our Pandora vacation this summer!